I took this photo a few days ago, and didn’t get around to posting it. 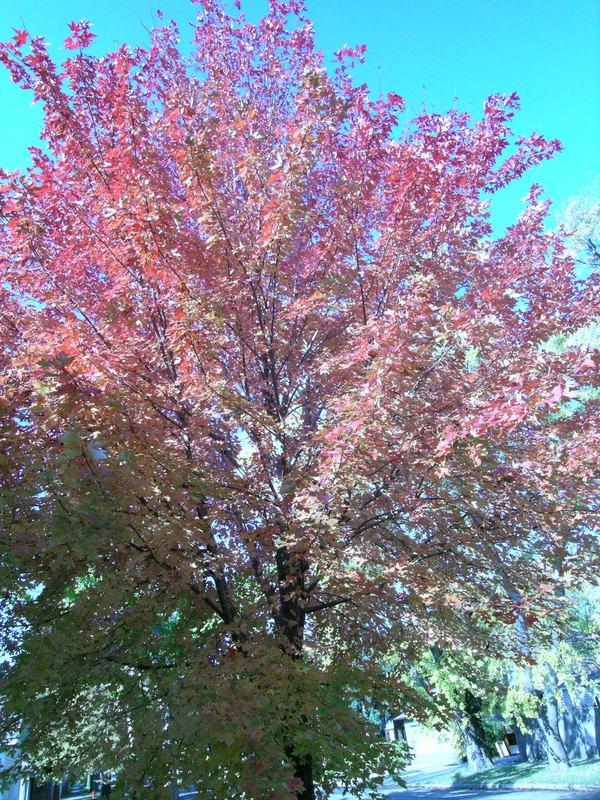 Wind gusts blew the last of the leaves off the trees this weekend. 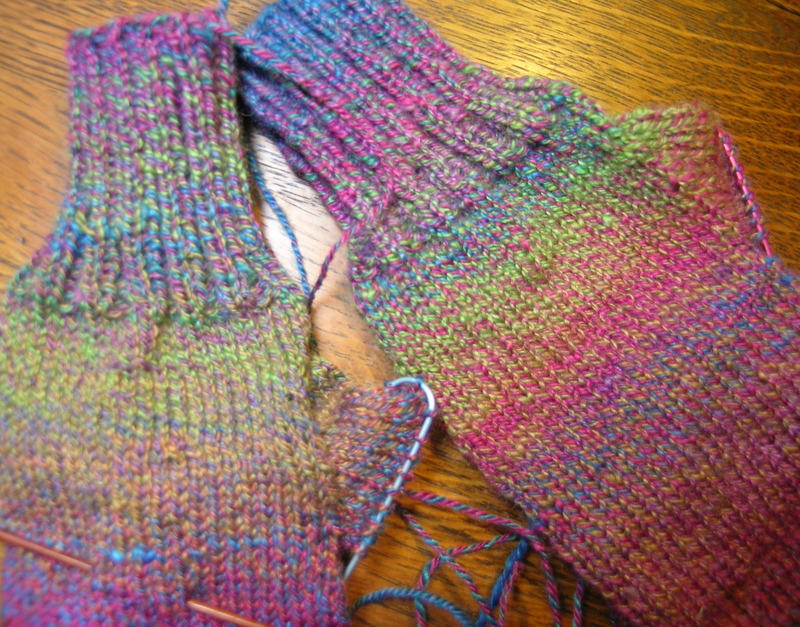 Working on my “Fractal Mittens”. There are some longer blotches of similar colors, but I am generally happy with their progress. The bright colors will be cheery on a bleak winter day. And I finished spinning up some superwash fiber, yet again from Fiber Optic. Color is Stormy Monday. 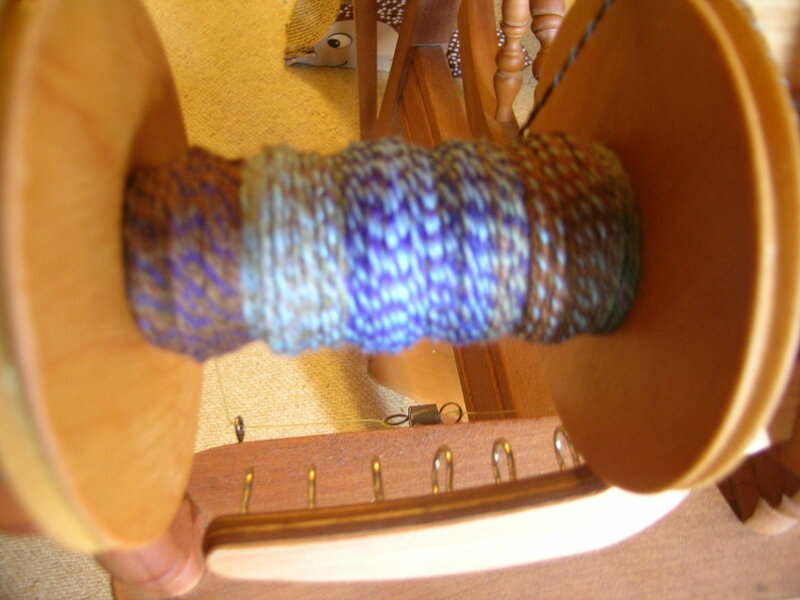 I don’t seem to be as successful spinning a fine yarn with the superwash fiber. It is drying, but finished photos tomorrow. Great weather to hunker down, and knit and spin. That is a great blog, I love how she combined her handspun with commercial yarn, it really makes the colored handspun stand out. So much inspiration… these will be lightweight mittens for me, but some good ideas for the next.